The recent communal clashes in Basirhat in 24 Parganas in West Bengal was not the least spontaneous, but was clearly orchestrated. In case it was spontaneous, flags, and sophisticated sloganeering like ‘Aryans Go Back’ would have never materialized so soon. This clash appeared to have links with Sayeed Salahudeen and Prime Minister Narendra Modi’s visit to Israel. It is not very difficult in West Bengal to engineer such communal clashes, aimed at intimidation and ethnic cleansing of Hindus. This is in continuation with similar incidents in Kaliachak, Ilambazar, Dhulagarh, Nandigram etc. If the Central Government does not intervene, a Kashmir Valley type of situation with respect to ethnic cleaning of Hindus is imminent. …the worrisome part for India is that vote-bank politics in West Bengal has invited global jihadi groups and the affiliates of Al-Qaeda and Islamic State into West Bengal. 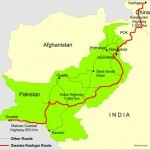 Also the involvement of external powers for destabilizing the region cannot be ruled out. China has the pressing imperative of linking Chumbi Valley through Sikkim, Darjeeling and Bay of Bengal as part of the land component and maritime component of the ‘One Belt One Road’ project. Reportedly, China was behind the latest upheaval in Darjeeling and has spread its tentacles in the highest level of political hierarchy in Sikkim. It has also tried to bribe top Bhutanese decision-makers, only to be spurned. There are also inputs to suggest that some communist leaders in India, in concert with the effects of the previous ruling dispensation has approached the Chinese to create an intractable military situation in the Doklam area to discredit PM Narendra Modi’s leadership. It is the same people who had approached Pakistan to unsettle the present dispensation. West Bengal, today, is the most convenient meeting point of the Communists and global jihadi agenda. A new kind of wave of jihad is being witnessed in the region of West Bengal and Bangladesh. In several incidents entire families of jihadis in Bangladesh have blown themselves when confronted with the security forces. There is no phenomenon such as local jihadi groups. All jihadi groups are global in their orientation. But the worrisome part for India is that vote-bank politics in West Bengal has invited global jihadi groups and the affiliates of Al-Qaeda and Islamic State into West Bengal. The patronage that these groups enjoy is from the highest political authority. The situation is likely to get worse, as Saudi Arabia has extended $2 billion to Bangladesh for construction of Wahhabi mosques / madrasas in every city and town of the country. For a Pakistan obsessed country India, the accidental bomb blasts in Burdwan on 02 October 2014 served as ‘a wake-up call’. Even as Indians primarily confined their concerns on terrorism emanating from Pakistan, the West Bengal–Bangladesh region was evolving into another hub of jihadi terror. Given the fact that Bangladesh geographically impacts on five Indian states; West Bengal, Assam, Meghalaya, Tripura and Mizoram; the destabilizing potential of jihadi terror orchestrated from Bangladesh is even more vicious than the Af-Pak region. For reasons of political and social facilitation, West Bengal and Assam have been so far the preferred areas for Bangladeshi jihadi groups. The new political outfit in Assam, All India United Democratic Front (AIDUF), led by Maulana Badruddin Ajmal (MP) has come under the scanner of agencies and the media for their alleged role in recruitment and training of jihadis in Bangladesh.Bases flourishedin these states particularly in the aftermath of the unprecedented crackdown on the fundamentalists and the jihadi groups by Sheikh Hasina regime in Bangladesh. West Bengal exported and sustained Communism in parts of Bangladesh, and in return facilitated demographic assault and import of Islamic fundamentalism from that country. In March 2007, the leader of the Jagrata Muslim Janata Bangladesh (JMJB), Siddique ul-Islam (Bangla Bhai) along with five others was executed by hanging. The JMJB, which was banned in 2004, was allegedly linked to the Al-Qaeda. It may be mentioned that JMJB is an outgrowth of Jamaat-ul-Mujahideen Bangladesh (JMB), with considerable overlap of leadership between the two. There are analysts who are convinced that JMB or JMJB are proxies established by the Jamaat-e-Islami (JeI). The links between Khaleda Zia’s Bangladesh National Party (BNP) and JMB have been conclusively proven. The inaugural rally of the JMJB was addressed by a BNP leader, Besharat Ullah. Later links between Khaleda’s Deputy Minister for Land, Ruhul Kuddus Talukder Dulu and JMB also surfaced. The sinister reach and influence of the JMB was exhibited in 2005, when the outfit detonated 500 bombs at 300 locations all over Bangladesh (63 out of the 64 districts) within 30 minutes. The stronghold of the JMB was the Northwestern part of Bangladesh. The principal import of JMB / JMJB ideology is an Islamic State based on Sharia and neutralization of left-wing cadres of Purba Banglar Communist Party (PBCP), which it did with ruthless and unsparing violence. The rabid anti-communist credentials of JMB and associated organisations came in handy to the anti- government political forces in West Bengal. They argued that some extraordinary method was needed to break the CPMs stranglehold on state apparatus achieved purely by means of intimidation and ideological subversion over the years. Consequently these fundamentalists in league with politicians invited the jihadi organizations from Bangladesh to set-up bases in West Bengal at the behest of the politicians. The influx increased with the unremitting persistence of crackdown on these elements by Sheikh Hasina in Bangladesh. The legal assault on their mother organization, i.e. the JeI, by the Awami League regime virtually uprooted them. The JeI leader, Abdul Quader Molla was hanged in December 2013. He as a member of the Al-Badr militia during the liberation war, was convicted of killing 344 civilians and other crimes. Very recently another JeI leader and a cabinet minister under Khaleda Zia dispensation, Motiur Rahman Nizami, has also been sentenced to death for war crimes. He too was part of Al-Badr militia during the liberation war. Concomitantly, the crackdown on fundamentalists and jihadi organizations in Bangladesh engendered corresponding increase in levels of violence in West Bengal. Earlier, Nizami was also sentenced to death with 13 others in January 2014 for smuggling of arms to India. In 2004, the Bangladesh Coast Guard apprehended 10 truckloads of arms and ammunitions in Chittagong, i.e. a total of 4,930 different types of sophisticated firearms; 27,020 grenades; 840 rocket launchers, 300 rockets, 2,000 grenade launching tubes; 6,392 magazines; and 11,40,520 rounds. It may be reiterated that Nizami was a Cabinet Minister then. Taking on JeI, which has strong linkages with Islamic fundamentalist organizations the world over, significantly India and Pakistan, is an exceptionally audacious move by any leader of a Muslim majority country. The JeI in Bangladesh is considered a ‘state within state’ and an ‘economy within economy’. It has substantial share in Bangladesh’s banking, insurance, transport, NGOs, education, health care, media, information technology, and pharmaceutical industry sectors. Reportedly, it has a net annual profit of around $ 280 million. On 02 November one JeI media tycoon Mir Quasem Ali was sentenced to death by the special tribunal for 1971 war crimes. Mir Quasem is a member of thehighest policy making body of the JeI. Concomitantly, the crackdown on fundamentalists and jihadi organizations in Bangladesh engendered corresponding increase in levels of violence in West Bengal. A political party in West Bengal used the displaced jihadis from Bangladesh to deadly advantage. The sophistication and quantity of armory of the armed groups opposing land acquisition in Nandigram in 2007 was bewildering. Organizations like Bhumi Uchhed Pratirodh Committee (BUPC) and Bhumi Raksha Committee took on the might of the State. Even the Central Armed Police Forces proved unequal to the challenge. The security apparatus of the State surrendered its dominance, which has since remained so even under the changed dispensation. If one were to deduce from the posturing of the SP of Burdwan, SMH Meerza, in the aftermath of the blasts, the allegation of state complicity may not be unwarranted. The Soviet Union was humbled by the jihadis in Afghanistan. The narrative ‘Islam Vs Communism’, a very potent and successful at that, was scripted by the US. The same narrative operated in West Bengal. The Soviet Union was humbled by the jihadis in Afghanistan. The narrative ‘Islam Vs Communism’, a very potent and successful at that, was scripted by the US. The same narrative operated in West Bengal. The tool this time was organizations like JMB. The Communists in West Bengal and globally as such, unwittingly facilitated this narrative in overestimating the appeal of their ideology vis-à-vis Islam. It is they who willfully re-engineered the State’s demography by illegal immigrants from Bangladesh for vote banks. In the late 70s, one chief minister when queried about the phenomenon of illegal migration said that he did not distinguish between the proletariat of India and Bangladesh. With illegal migration Islamic fundamentalism made strong in-roads in West Bengal. Communist ideology and Islamic fundamentalism developed a symbiotic partnership and borders became incidental. The same fundamentalist elements, who served as Communist vote-banks, turned their back and began to support a party, which they perceived as even more indulgent to fundamentalism. Their new found leader, a kafir, went to the extent of public display of ‘namaz’ solely for consumption of media. Bangladesh is critical for ISI for destabilizing operations against India, particularly east and the north-east. In this the Bangladesh Nationalist Party (BNP) has acted as steadfast facilitator. No sooner, Sheikh Hasina came to power in January 2009, there was a desperate bid to dislodge her by the ISI backed Bangladesh National Party(BNP). It took the form of engineering a revolt in the Bangladesh Rifles (BDR), the para-military organization. 57 BDR Officers drawn from the Bangladesh Army were killed, it included the BDR Chief, Maj Gen Shakil Ahmed, Deputy Chief and 16 Sector Commanders. The main target was Sheikh Hasina. There are reports to suggest that this was a desperate bid by the ISI and its jihadi affiliates. The truck between Khaleda Zia and the ISI is well established. Sensing certain electoral defeat Khaleda Zia boycotted the elections in 2014 on specious pleas. The nexus between the ISI, Khaleda Zia’s BNP and the jihadi organizations have only strengthened, rather become more vicious. This combine is again trying to dislodge her by any means. The difference this time is that West Bengal is serving as a base for the war against Sheikh Hasina dispensation. The dispensation in West Bengal appears to be so indebted or beholden to these Bangladesh based jihadi outfits and their benefactors and affiliates that on their calling it sabotages every conciliatory, beneficial reach out bid by Sheikh Hasina towards India. It is for this reason that it opposes the Teesta Water Treaty or the proposed exchange of enclaves between the two countries. Earlier, India blamed Bangladesh for harbouring Indian terrorists and insurgents, now the reverse is happening, not because of the omissions and commissions of the Union Government but arguably because of the commissions of the state government. It is not only the ISI-BNP-Jihadi combine that wants to see the political end of Sheikh Hasina, there are extra regional powers who want the same for strategic reasons. As elsewhere on the globe, these powers are not averse in using the same jihadi organization that they decry otherwise. In the past they have done it with Al Qaeda and they have done it with Taliban. 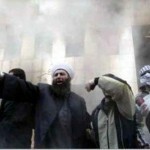 Al Qaeda has not been dismantled after the elimination of Osama bin Laden. Instead, the new chief al-Zawahiri has established Jamaat Qaidat al-jihad fi’shibhi al-qarrat al-Hindiya or Organisation of The Base of Jihad in the Indian Sub-Continent under Asim Umar, who is an Indian. This new outfit has strong Bangladesh and West Bengal underpinnings.The leader of the Afghan-Taliban, Mullah Omar is still at large due to deliberate oversight of the US and its allies. 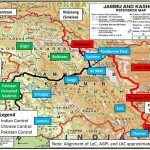 Just as Taliban was financed in the early 90s by American Oil company Unicoal to convert them into pipeline police, certain jihadi outfits are possibly being courted to dislodge Sheikh Hasina so that the dispensation in waiting could provide the much needed foothold and access in the Bay of Bengal. Bangladesh and China have been engaged in serious negotiations for construction of deep water port at Sonadia near Cox’s Bazar. Reportedly, China has offered $5 billion for construction of this port. Reports suggest that the proposal was very much on the agenda of Sheikh Hasina during her recent visit to China in June 2014, but finally refrained from signing an MoU in deference to the security sensitivities of India and under enormous pressure by the US. The US has been vying for a presence in the Bay of Bengal (Chittagong), wherein China is active by its presence in Kyaukpyu port on Myanmar’s western coast. There are apprehensions in India that Sonadia may turn out to be another Gwadar for China. Bay of Bengal has overbearing security imperative of India not only in respect of its eastern coast, but also for the criticality of retaining sea based second strike nuclear capability. The overall manifestation of the geopolitical flux in the Bangladesh – West Bengal region is its descent into hub of jihadi terrorism. Earlier, India blamed Bangladesh for harbouring Indian terrorists and insurgents, now the reverse is happening, not because of the omissions and commissions of the Union Government but arguably because of the commissions of the state government. In West Bengal, some of the madrasas (500 recognised and 4,000 unrecognised) are engaged in indoctrination, recruitment and training of jihadis. As per the NIA, there are 58 terror modules operating in the state. The objective of the jihadi outfits present in West Bengal is not only to dislodge Sheikh Hasina government, but also serve as a conduit for manpower resources to Al Qaeda and ISIS. It is not mere coincidence that some Indian youth, especially from Andhra Pradesh and Maharashtra, willing to join the two organizations headed for West Bengal for their onward jihadi journey. The most worrisome part is the criminalization of women and children in West Bengal by the jihadi organisations. The NIA has identified more than a dozen woman cadres in two madrasas of Burdwan and Murshidabad districts, who are being trained in arms and jihadi activities. The Chief Minister of West Bengal should worry that JMB aims at establishing an Islamic Caliphate comprising Bangladesh, Murshidabad, Malda and Nadia districts of West Bengal. If politics blinds her, neither she nor the state will be spared from being consumed by jihadi fire. RSN Sir very comprehensive.Mamta had took oath in the name of Allah.Kashmir already being referred as Dar-UL-Islam, it was never a political issue only Jihadist. Our leaders missed the opportunity by neglecting Shias of Gilgit,Baltistan. WB,Kerala,some pockets of AP,Maharashtra,Karnataka are hotbeds of Islamist anti-India activities.Its now or never not only for Kashmir but many vulnerable pockets of India the Soft State.Reign the so called Gaorakshaks without mercy and also not spare any anti national irrespective of any religion or whatsoever. Time to unleash the power of rule of law and Democracy.Time to indicate China that India can also change its stance on Tibet.Time to expose China the godfather of North Korea and all whether friend of terror state Pakistan. Have been seeing you on the media discussions and the pain you feel, its the same with all in Uniform, we sometimes feel impotent, while we fight protecting the nation, these buffoon play dirty politics. Brilliant comprehensive analysis by RSN Singh. He however seems to be givingu benefit of doubt to the present CM of West Bengal Mamta Banerjee by stating ‘if politics blinds her….’ Fact is politics already seems to have blinded her. 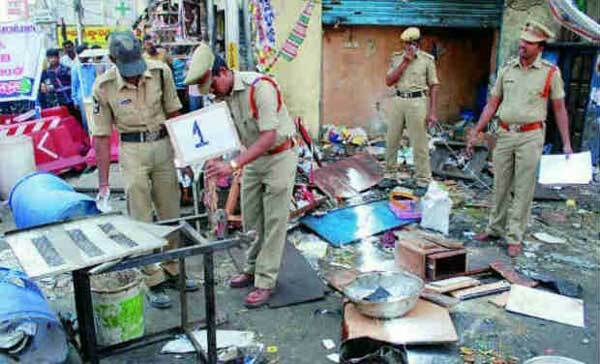 The Burdwan blast and the manner in which her police chief and home secretary attempted to destroy or at least deny crucial pieces of evidence to the NIA can’t be without there being a well calculated web of alibis forged by the state’s political top brass. One recognizes the need that the Deep State and the central government feel to polarise the electorate in West Bengal since elections are just around the corner there. This polarisation attempt was already predicted a few months back after the May election results. If we are to keep India a united nation, marginalizing people, trivializing their grievances and spreading xenophobia about ‘The Others’ won’t work. It might fit short term political goals, and the security paranoia of the Deep State, but in the long run we are missing the boat. An overly alarmist and exaggerated account of the situation. The title in itself is testament to the Xenophobic outlook of the Indian National Security Deep State, which the author, as a former intelligence officer, clearly represents. If the BJP and its camp followers like the author of this article will keep pursuing project Hindutva by replacing composite Hindustani rashtra/ unity in diversity, people of Christian and Muslim majority areas would also start building their own mini Christian Rashtra or mini Islamic Rashtra. The Babri masjid issue, large scale state sponsored killing of Muslims in Mumbai and Gujarat and The Hindutva project of BJP and affiliated intelligence agencies are weakening the composite idea of India. We the stakeholders of this composite India must work against all these divisive forces which propagate Hindu rashtra, Muslim Rashtra, Khalsa Rashtra or Christian rashtra. Within composite India each religious community will flourish but if we fight against each other each community would suffer. Must you start writing about every stupid word uttered by every terrorist. The problem with Bengal is the Babu culture…. so long he gets his tea in the ‘cha er bhar’ and can lose himself in the smoke of his cigarette / bidi he couldnt care less if he belonged to BD or India …. he gets activated only when somebody discuses politics…. then he will rattle off Mao/ Karl Marx et all without realising what he means to say… even if Bengal turns into a Caliphite so what? If a Brahmin woman can become a Muslim without converting there is nothing that is unexpected now…. In matters of National Security, States need not remain IMMUNE? Revealing facts by Indian Defence Review on new developments in WB .